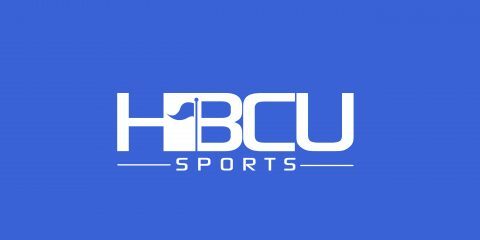 With the first half of SWAC baseball action in the books, HBCU Sports recaps round one of play and what to look for entering the home stretch. Alabama State — To no surprise, the Hornets are where people expected them to be — and that’s at the top. Despite its 8-3 record, Alabama State will have to fight off in-state rival Alabama A&M (8-4) and the always dangerous Jackson State (6-6). ASU opens up at Mississippi Valley State this weekend and will head north the Huntsville for the showdown at Alabama A&M in two weeks. Alabama A&M — The Bulldogs are the surprise of the SWAC East with a second-place performance after the first half of action. On paper, nothing stands out statistically about the Bulldogs except Jonathan Smith’s batting average as they’re in the middle of the pack as a team. Can young head coach Manny Lora continue to keep the Bulldogs playing on a high level with the pressure building? Jackson State — The Tigers are three games behind first-place Alabama State but anyone who knows SWAC baseball knows Omar Johnson will have Jackson State fighting for the top spot when the dust settles. The Tigers are one of the top offensive teams in the SWAC after the first half and have one of the top pitching staffs. However, the schedule doesn’t favor JSU in the second half with only one SWAC home series. Mississippi Valley State — The Delta Devils are showing they’ll be a factor in the second half with a 5-7 SWAC mark and are one game behind Jackson State for third place. Like Alabama A&M, nothing statistically jumps out about the Delta Devils except for Fredrick Spencer’s .361 batting average but they do feature an experienced skipper in Aaron Stevens. Stevens played a big role in the mid-2000s as an assistant coach when the Delta Devils were perennial powers and has the experience to guide the team down the stretch. Everything is falling into place for a second-half run as three of its four SWAC series are in the friendly confines of Itta Bena, Miss. Alcorn State — The Braves are two games back of Mississippi Valley State and have some ground to make up quickly. This weekend’s home series versus Alabama A&M will be a major test for the Braves as it’ll set the tone for the remainder of the season. Southern — The Jaguars have exceeded expectations on paper under second-year head coach Kerrick Jackson. Southern was picked to finish at the bottom in the preseason but are now atop the SWAC West with a 10-2 SWAC and 16-12 overall mark and are in the driver’s seat for the SWAC West crown. Southern is the lone team in the SWAC batting over .300 (. 312) as they also lead the league in runs, hits, doubles, triples, RBI, total bases, slugging and stolen bases. If the Jaguars are to remain at the top, they’ll have to prove it on the road with three of their four SWAC series away from Baton Rouge. Grambling State — The Tigers sit in second place after the first half of action and are three games behind Southern at 7-5. The second half will be a dogfight for the Tigers as they’ll have to fight off TSU (6-6) and Prairie View A&M (5-7). A date with TSU in Houston this weekend awaits Grambling State and will set the tone for the remainder of the season. Head coach skipper James Cooper has been down this road before as Grambling State will have a say in what happens in the standings when it’s all said and done. Texas Southern — Never count out head coach Michael Robertson as the Tigers are one game behind Grambling State entering round two at 6-6. The SWAC schedule also benefits TSU in the second half with three of its four divisional contests at MacGregor Park. This weekend’s series against Grambling State is huge for the Tigers and another series to watch is the one at Southern as all three games between both teams were hotly contested last month. If pitcher Aron Solis continues his pace as the SWAC’s strikeout leader along with the team’s offensive production (20 home runs), watch out for TSU. Prairie View A&M — The Panthers will have a say in what happens in the SWAC West as they’re two games behind Grambling State and one behind TSU. Unfortunately, the Panthers will have to make their run away from campus for the majority of the second half with only one SWAC series at home (May 3-5). The Panthers will have to ride their offense in order to make a second-half charge as they have the third-best batting average in the SWAC. Arkansas-Pine Bluff — The Golden Lions have a lot of ground to make up as their three games behind Prairie View A&M for the final spot in the SWAC Tournament. With Prairie View A&M on the agenda this weekend in Pine Bluff, Ark., UAPB will have to come out smoking in order to keep pace. One bright spot for UAPB has been its power at the plate as the Golden Lions lead the SWAC with 22 home runs. Ryan McGinty is an HBCU athletics media relations consultant and a graduate of Prairie View A&M University.